The Welsh Footgolf scene is a buzzing mix of courses spanning this breath-taking country that takes in undiscovered coastline, spectacular beaches, majestic mountains, and scenery to rival the best. Footgolf Courses in Wales stretch from Anglesey to Cardiff and the Vale of Glamorgan with a break to suit everyone, from stag parties with a difference, to family-friendly half-term jaunts. Wales offers a wealth of natural beauty a stone’s throw from each other, with variety ranging from the mighty peaks of Snowdonia, the glorious deserted beaches of Pembrokeshire, to the rolling moody hills and lakes of the Brecon Beacons. Footgolfers looking for a Welsh break are spoilt for choice. Combine a day’s Footgolf with the exhilarating experience of Coasteering around the Gower Peninsula, or head to the sights and sounds of Cardiff, where there is a plethora of trendy bars and dining experiences. A Footgolf Break in Wales won’t disappoint. Located in Denbighshire, Dyffryn Clwyd Footgolf is a social enterprise. It is an ideal footgolf course for families and has a newly opened licensed cafe, children’s play area and outside seating. Located in Pontygwaith, Rhondda Footgolf is open every day. Located in the Vale of Glamorgan, St Mary’s offers footgolf for players of all abilities. Silver Birch Footgolf is located at Silver Birch Golf Club in Abergele, Conwy. 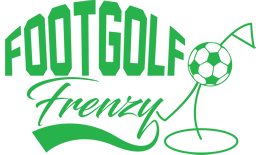 The course opened in 2015 and challenges you to strategically combine power and precision when you play Footgolf at their course.